Newtown Appliance Sales and Service, Inc. provides communities on Oahu, with new and used appliances at competitive rates. 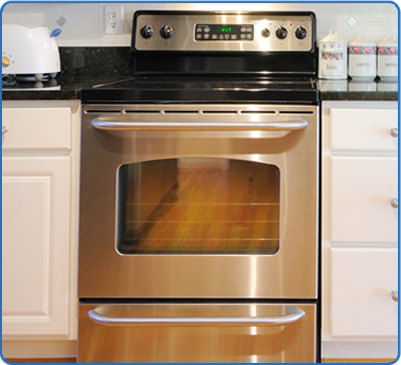 Are you tired of spending money on appliances that don't last? Visit our store in Pearl City to browse our selection of quality, built-to-last appliances from the manufacturers you know and trust. Our showroom has a wide variety of quality name brand appliances including: Whirlpool, General Electric, Maytag, GE Profile, Bosch, Kitchen Aid, Speed Queen, Samsung, LG and more. Our sales experts are ready to make recommendations and help you find the appliances that will meet your specific needs. If you are looking for quality affordable appliances visit our showroom at 98-723B Kuahao Place in Pearl City to browse our selection of refrigerators, washers, dryers, ranges, ovens, air conditioners, disposals, and more. If you need expert appliance repairs our factory trained technician will be able to service you promptly. Count On Us To Fix Your Appliances Today. We are a family-owned business that opened in 1977 as a sales and service dealer of most major brand appliances. We are proud to be a factory authorized dealer for the best quality brands in the business. When you call or come to Newtown Appliance Sales and Service Inc. you will be dealing with qualified factory authorized experts who can give you professional advice so you can make the best decision with confidence whether you want to schedule a service call or purchase a new appliance. questions or comments using the information below. We look forward to hearing from you. Newtown Appliance Sales and Service, Inc.